Digital-to analog converters are the heart of any modern audio playback system, and for the last 20 years I have watched and listened to the steady evolution of PCM DACs get closer and closer to the real-life performance of music. Case in point is the relatively new Canadian-made DAC, the INVICTA, manufactured by Resonessence Labs, an off-shoot of DAC chip maker ESS. Priced at $3,995, the INVICTA is the perfect modern DAC, incorporating the latest design and parts to produce the best 24-bit sound possible. Plus, it features SD-card playback, USB input, numerous connection options, a useful and easy-to-read display and an incredible headphone amplifier. 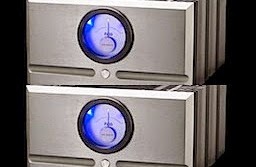 The INVICTA DAC is housed in a heavy, metal chassis and sports a number of features and functions. 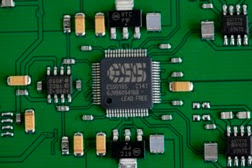 The design implements dual ESS Sabre DAC chips (ES9018 and ES9016), combined with custom-spec analog components, and ultra low-noise power supply with toroidal transformer. The DAC supports all the major input connections: USB 2.0 (up to 192 kHz), optical SPDIF (up to 192 kHz), two BNC coax (AES/EBU or SPDIF up to 192 kHz) and AES/EBU XLR. It also includes a BNC sync input, an HDMI video output to enable viewing images with the SD card audio. Analog output includes balanced XLR and unbalanced RCA jacks. The DAC also includes a digital pass-through via TOSlink output. The front panel is an attractive, modern-looking, modular DAC with a quality, readable OLED graphical display that shows volume level and input status. Front-panel buttons include volume/multi-function control, SD music controls (pause, fast forward, rewind) and source. The left side of the DAC sports two high-quality headphone amps with select buttons. Front-panel LEDs indicate sample rates from 44.1 kHz to 192 kHz (no word length indicator. I wish more DACs had this feature. The power switch is on the back. The unit’s heavy duty build is exemplary. Its solid feel is impressive. The heart of the DAC is the implementation of its D/A conversion circuit. 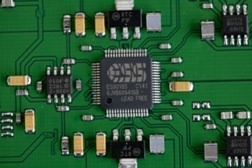 The two ESS Sabre DACs (ES9018 and ES9016) are used in a 4:1 mode to enable as accurate a conversion as possible, according to the company. Other design highlights include Crystek ultra-low phase noise (50 MHz) master oscillator that drives the DAC; there is no PLL implementation anywhere in the circuit, said to significantly minimize phase noise. Resonessence Labs engineers utilize high-quality analog parts as well — including the highly regarded Analog Devices AD797 op-amp for the line output. The headphone output uses the Analog Devices ADA4898 op-amp as the I-to-V gain stages and the Analog Devices AD8397 as the power buffer. There are differing theories about digital vs. analog volume controls (loss of resolution, increased noise in digital designs), but my listening sessions revealed the INVICTA DAC’s superb and, subjectively, super quiet audio quality. Other high-end touches in the INVICTA include separate internal boards for the analog and digital functions with isolated, separate grounds to keep out any noise. As previously mentioned, the screened, linear analog power supply with customized toroidal transformer is rated from 115/230V, and is key to the low-noise noise performance as well. Because the functions and operation are digital, Resonessence Labs uses an Xilinx Spartan 6 FPGA with a Micro-Blaze software processor core to run custom low-noise code modules for input switching, feature functions, etc. it also allows for easy updates via the SD Card reader. The current version of the INVICTA software files can be downloaded to either the Mac or PC. The system upgrades take place via the SD Card, which is much quicker and cleaner). The owners manual and the web site discuss the INVICTA DAC’s impressive specifications in various places. 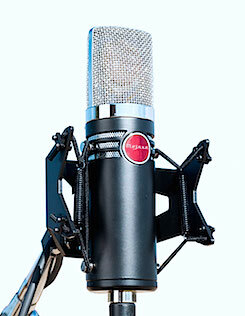 Real world signal-to-noise through the XLR jacks is listed at -125 dB (ditto for dynamic range). And the headphone amp comes in at -118 dB. The manual also contains an in-depth discussion of design implementation and the high-audio technical decisions that went into making the INVICTA. It is quite detailed and interesting to read. The INVICTA’s coolest feature is the ability to play FAT 16/32-formatted SD/SDHC cards straight from the DAC. Although the ability to stream your computer audio via USB to the INVICTA allows an interface for those who rely mainly on the computer to transmit their audio, many audiophiles like to play music from their big-dollar components; they are not into the complexities and controls of computers just to simply play music. The SD card player/DAC is perfect for them. They can download their computer-stored music to the SD card and play it on the main system. It is an inexpensive, high-capacity, small digital storage/play process that is easy to use and robust. The coolest feature is the onbaord SD/SDHC card player. You can transfer all those computer downloaded files ranging from iTunes to the high-res HD Tracks, put them onto the SD card, artwork and all, and easily play it back and display the artwork from the DAC. You can transfer all those computer downloaded files ranging from iTunes to the high-res HD Tracks, put them onto the SD card, artwork and all, and easily play it back and display the artwork from the DAC. The SD card player is simple to use. Select the function, hit the play button, and listen. The HDMI output allows you to view a 720P image of the album artwork on an LCD. As much as the INVICTA does, it is not that large or cumbersome. The half-rack width unit dimensions are: 8-inches wide, 2-inches tall and 11-inches deep. Weight is a solid 6.4 pounds. There also is an included remote control that controls all major selector and playback functions. As with most DAC reviews, I auditioned the INVICTA DAC with high-resolution music sources, including hi-res downloads from HD Tracks, DVD-As, and SACDs (DSD-to-PCM conversion). I also played back my own 24-bit/96 kHz, guitar recordings from either SD card transfers or Minnetonka Bronze-burned DVD-As or Toast Music DVDs, produced on an Apple Macbook Pro. Sources included the TASCAM DVRA-1000HD PCM/DSD recorder/player (acoustic guitar recordings), Esoteric DV50, Oppo BDP-95 universal BD player and Sony’s top-of-the-line PCM-D1 handheld recorder/player with digital output. I also streamed music directly from an Apple Macbook Pro computer via the USB and TOSlink optical jacks. DACs used for comparison included a Benchmark DAC1 Pre, a Lavry DA10 and the internal converters of the aforemetioned players. Although these DACs are in another price class ($1,000-$1,500), they are both quality DACs, especially the DAC1 Pre, which is no pushover in terms of build features and ultimate sound quality. Since the INVICTA has an excellent headphone amp, I played numerous musical selections through several headphones, including the AKG K701/702s, Shure SRH940, Ultrasone Edition 8 and the new Sony MDR-7510. 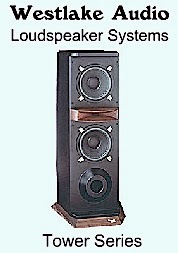 For the listening sessions with a full-system, components included a Pass Labs X350.5 MOSFET amplifier, Coda and Pass Labs preamplifiers, and the new Legacy Classic HD speakers. The sources, amp and preamps were linked with Alpha-Core solid-silver, balanced XLR and unbalanced unbalacned RCA cables. I used a Wire-World HDMI cable to connect the INVICTA video output to a small LCD. All components were plugged into an Essential Sound Products Essence power strip using the company’s Essence power cords.The audition I do a lot of headphone listening. An accurate set of headphones, combined with headphone amp and DAC, offers a closer look at the aural properties of high-res music. I have found that with most similar class DACs, with levels properly matched, it is harder to hear the differences through speakers with room influences, etc. Headphones allow you to hear deeper into a mix and find the differences, if any. With that in mind, I grabbed my AKG701s and began my long listening trial with the INVICTA DAC. First was the Grateful Dead - American Beauty DVD-A. This album, sonically, is one of the Dead’s best and was a sort-of audiophile recording in the early 1970s; the analog detail, dynamic range and openness are well presented in this transfer to DVD-A. I have always used the track “Friend of the Devil” as a showcase for high-res detail. The acoustic guitar intro has this subtle reverb detail and decay that really good audio components can translate accurately. With an accurate DAC, I can hear the subtle room influences and the reverb decays, plus the rich tones from the 1950s/60s-era Martin that Jerry Garcia used. The INVICTA passed this test with ease; the warm guitar picking, the reverb tails, the focused vocal harmonies: my aural senses were quite pleased. On classical music, the INVICTA’s accuracy shined its light on strings. On the 2L Music Blu-ray Ole Bull - Violin Concerto (24-bit, 192 kHz sample rate), the rich, multidimensional tones of the violin came alive, but not a hint of strident overtones or harshness emerged. Man, do I like this DAC. Next up, was the Bucky Pizzarelli - Swing Live DVD-A; the jazz guitarist’s live recording that is quite dynamic in 24/96. Via the INVICTA DAC, the warm, rhythmic jazz guitar tones are front and center with focused accuracy. This DAC is not a warm euphonic DAC, but a very accurate and dynamic converter. Drum cymbal transients were brassy and forward, but not harsh; the bass lines were low in the frequency range, but tight. 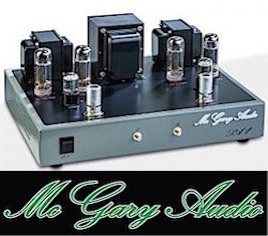 This is my kind of DAC. I have to say that after just a few listening sessions, I was impressed by the headphone amplifier in the INVICTA. Versus my other converter phone outputs and even my AVA preamp’s output, the AKG K701s never sounded better. There was a slight widening of the stereo image over the other units and a bit more air around instruments, especially those with upper frequency energy, yet it was not overly forward or hard sounding. Instruments had their own space in the mix without hiding behind each other, which often is the case with lesser DACs. The Resonessence Labs INVICTA may be my favorite DAC/headphone amp combo. Through he BDP-95’s HDMI output to the Atlona HDMI-to-PCM converter, I was able to lock onto the 24/88.kHz-converted PCM stereo tracks via the INVICTA SPDIF input. Wow! Through the INVICTA, the warmly percussive guitar string attack, and wide stereo image from stereo tracks were just as impressive as they are straight from my high-end SACD player. In fact, there seemed to be a bit more realistic snap to the guitar picking via the INVICTA. Since guitar recordings are my favorite recordings to audition, I can say with certainty that the Resonessence Labs INVICTA is definitely among the elite class of DACs for listening to classical and steel string acoustic guitar recordings. With the accuracy assured in my subjective testing of jazz and classical, I moved on to more pop music. The limited-release Beatles 24-bit/44.1 kHz stereo albums (via FLASH Drives) from a couple of years ago are ear-opening recordings that simply amaze with their sound quality, considering they were made on equipment nearly 50 years ago. I transferred the FLAC tracks to .WAV and put them on a SDHC card, which gave me the chance to try out one of the INVICTA’s keenest features, the built-in SDHC card player. There was a slight widening of the stereo image over the other units and a bit more air around instruments, especially those with upper frequency energy, yet it was not overly forward or hard sounding. Instruments had their own space in the mix without hiding behind each other, which often is the case with lesser DACs. The Beatles playback was never less than spectacular with the INVICTA — the 24-bit remaster reveals space and analog resolution that is simply amazing, and the INVICTA brings it all out. From the harmonious simplicity of early Beatles tracks, such as “This Boy” and “Baby Its You,” to the more layered, more complex, overdubbed late 1960s songs (“Hey Jude,” for example), the width, depth, detail puts many modern recordings to shame. I also played some other 24-bit pop music, downloaded from HD Tracks and converted to .WAV files for the SD Card player (Tom Petty and the Heartbreakers - Damn The Torpedoes, Paul McCartney - Band on the Run, The Doors - LA Woman). Through the Resonessence Labs, they were detailed and open. The Damn The Torpedoes downloads sounded a bit hard edged, though, which I attributed to the original recordings or perhaps the remaster. It sounds edgy on all my other DACs and players. I must commend Resonessence Labs for adding the SD Card player. Many audiophiles may wonder why they just didn’t add a USB Flash thumb-drive reader. The company, however, believes that the SD Card is a more stable, high-speed FLASH product that is not that much more expensive than the USB in larger capacities. I agree. Numerous USB thumb drives have errored on me, and I have lost music when having to reformat. I do not use them for anything other than quick transfer vehicles. The INVICTA’s SD card player works perfectly — and if your music has artwork, the HDMI jack can transmit the video to a LCD in hi-def. The only negative in the entire review is the fact that SD card player does not recognize FLAC, so you have to convert it to .WAV or AIFF to play it (I use Max or XACT conversion software for Mac). Resonessence Labs President, Mark Mallinson, says that the SD Card player firmware will be updated for FLAC playback in the near future. I think that in the last five years, digital audio converters have made leaps and bounds in quality and features. In the early 2000s, Benchmark’s DAC1 was world’s ahead of the competition. Today, Benchmark has serious DAC competitors. The Resonessence Labs INVICTA is in another price range than DACs from Benchmark and Lavry, but this custom, hand-assembled Canadian manufactured DAC takes the feature set to another level with the SD player, HDMI output and digital pass through. Also, the color onscreen graphics are superb and fit right into the wants of the computer-age audio crowd. 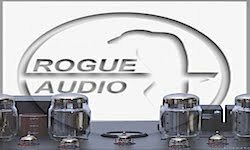 And even more important, the sound quality — via its state-of the art design and premium parts selection — compares well with, or even exceeds, the best DACs out there. 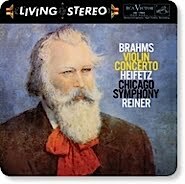 The headphone amp may be the best I have ever heard with high-resolution music. Kudos to Resonessence Labs for taking the ESS chip, making a high-performance standalone DAC and then adding all the bells and whistles that make it current and, for now, future proof. Does it get an Everything Audio Network Stellar Sound Award? You have to ask?